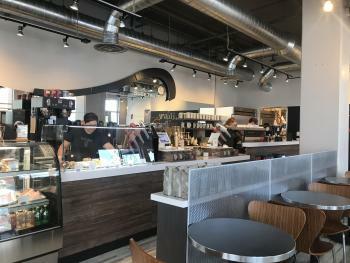 Sweetwaters offers a variety of coffee, tea, frozen drinks and cafe items with unique, local twists. The combination of global flavors with local offerings, is what makes Sweetwaters so unique. Tea drinkers will delight in a plethora of teas; these tasty drinks are quite literally "steeped" in the flavors from around the world. With teas grown in countries like Japan, China, India, Greece and South Africa, you are sure to find a new favorite at Sweetwaters. @modernbritches enjoyed a refreshing iced coffee. 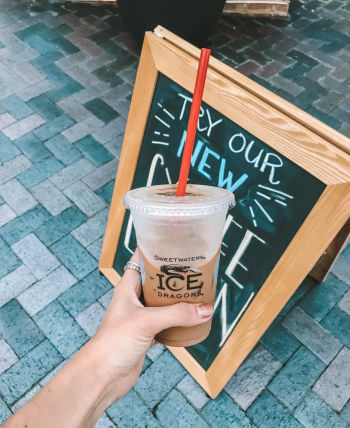 Those with more of sweet tooth will love one of their frozen drinks like their signature iced dragons, a variety of coffee and juice based frozen delights - something for everyone! Need a bit more of a caffeine kick? Coffee drinkers love their Signature Dragon Eye Coffee, a brew that pays tribute to the Year of the Dragon. 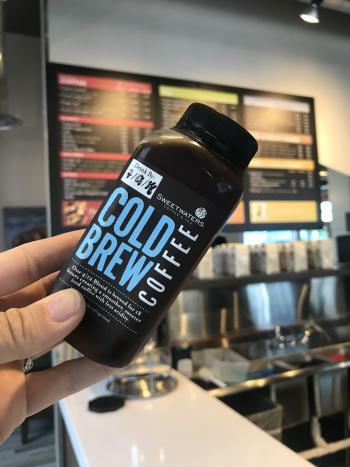 Classic coffee lovers, never fear, Sweetwaters makes a classic espresso just as well as they do their French Vietnamese Au Lait. Pro-tip: Are you a cold brew lover? Ask the staff for a sample to try out their version of this caffeine kicker. One of the things we loved most about Sweetwaters is that they offer local bakery and cafe items. 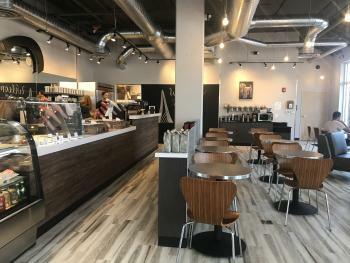 Patrons can enjoy items like cakes and other desserts from local bakers and even quiche from Central Ohio favorite, Katzingers Delicatessen. 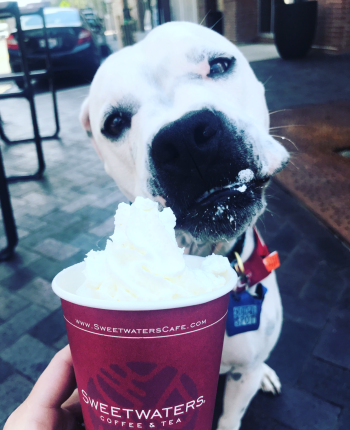 Pro-tip: Sweetwaters also offers pup cups for your furry best friend. @sonnythepibble enjoyed a sweet treat for being a good boy. 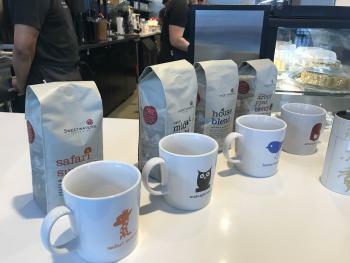 Sweetwaters strives to make the environment in the cafe both classic and friendly and they have hit the nail on the head. 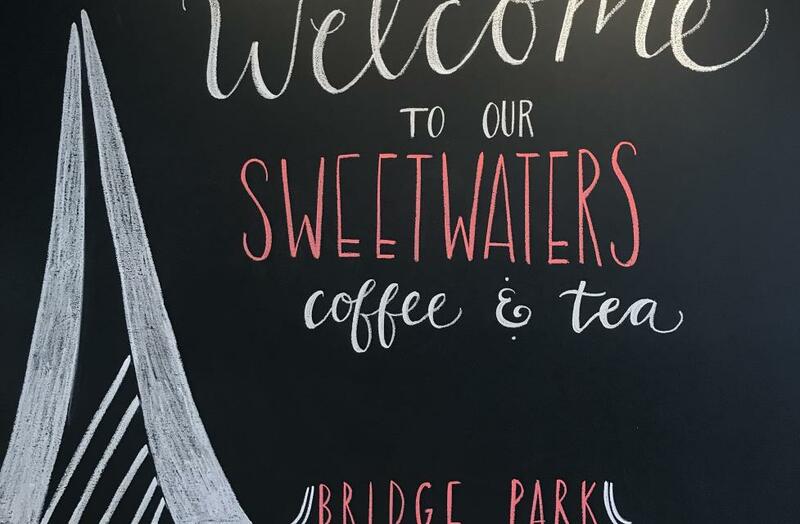 The interior is modern to match it&apos;s Bridge Park setting, while offering a quiet and relaxing place to catch up on emails, get some work done or just enjoy a cup of your favorite sweetwaters beverage. 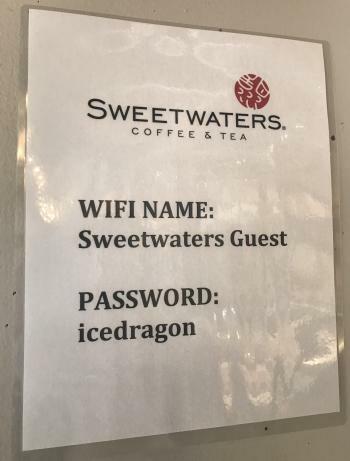 Pro-tip: Sweetwaters offers free, guest wifi for their customers. Network and password information is posted around the Cafe.